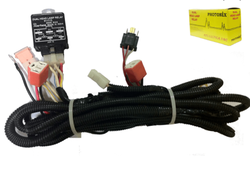 Our firm is specialized in manufacturing and supplying a quality array of Head Light Wiring Harness . Our offered harness is used in push-pull meters in various industries such as consumer products and automotive. It is manufactured by utilizing the quality assured raw material combined with the latest machines and tools. 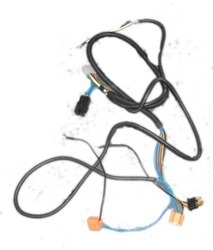 H1 + H7 Bulbs & H7 +H7 Bulbs Head Lamp Wiring Harness with Relay are precisely designed using latest techniques to give them a fine finish and high durability. Matching up with the ever increasing requirements of the customers, our company is engaged in providing Wiring Harness. We have carved a niche amongst the most trusted names in this business, engaged in offering a comprehensive range of Headlight Wiring Harness. Material: Ciramic, Bakelite, H1h7, H7h7. Also available in Finolex wire. H1H7 , H7H7 Holders are available.